Espoon halli suljettu 2.-3.11. 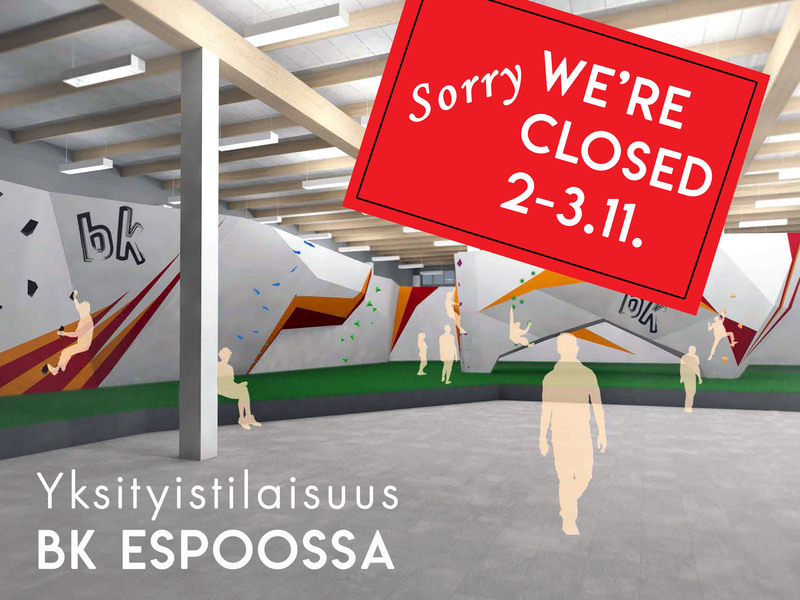 // BK Espoo closed 2-3.11. The most best bouldering with a single pass! Boulder Center has climbing for everyone, from beginner to a pro and from a baby to a granny! Come and try climbing! Student discount -10%. Take your student card or student verification with you! Climbers under age of 14 only with adult supervision! Check also group prices for companies and students.